U.S. energy policy under President Trump can best be summarized by the term "energy dominance." Or maybe "energy independence." Or perhaps even "energy security." Trump administration officials rely on the same catchphrases to describe U.S. energy policy. The buzzwords, some of which are relics of past energy debates, show up in written statements and comments to the press on a regular basis. 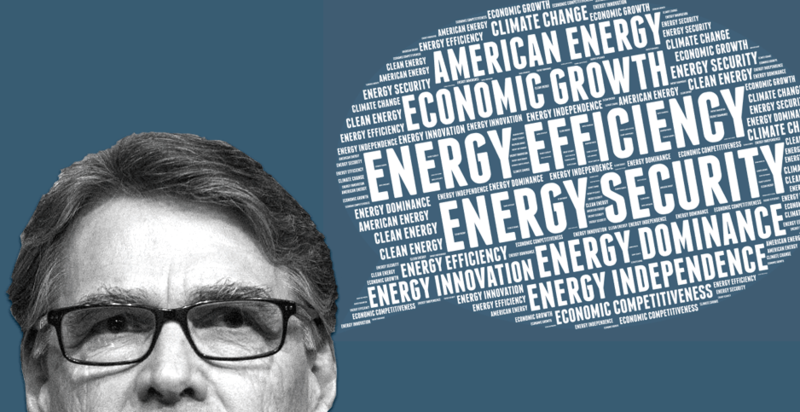 To find out the extent of the trend, E&E News analyzed how often 10 catchphrases have appeared in Department of Energy press releases and Energy Secretary Rick Perry's remarks since Trump's inauguration. The analysis revealed that "energy security" and "energy efficiency" are used the most in press releases out of the Department of Energy, with 22 appearances for energy security and 21 appearances for energy efficiency. "Energy dominance" and "energy independence," which more closely align with the president's rhetoric on energy policy, also pop up frequently in the department's press releases, with nine appearances for the former and eight for the latter. Energy historians are quick to note that these terms have a rich history, stretching back through several previous administrations. But the frequency with which they appear in 2017 offers a window into how the Trump administration views the interplay between energy, geopolitics and national security. And what's left unsaid may be just as telling. Independence has received lots of attention at 1000 Independence Ave. SW, DOE headquarters. Trump's fiscal 2018 budget blueprint "focuses on positioning our nation to become more energy independent by utilizing America's greatest natural resource, our people," Perry said in a March 16 statement. 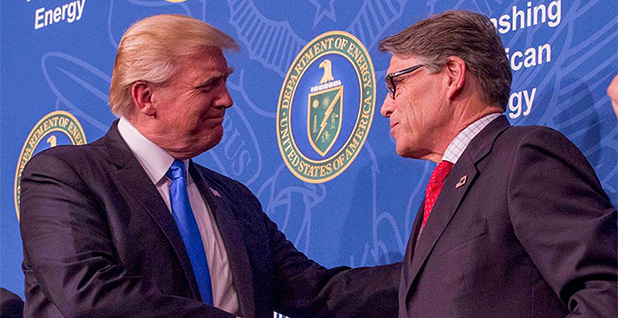 "Under President Trump's leadership, we will continue to advocate for a very broad, all-of-the-above energy portfolio to allow the United States to achieve energy independence," Perry said in a speech that focused on "unleashing" American fuel sources (E&E News PM, June 29). Still, Perry and other Cabinet-level officials are short on specifics when it comes to what, exactly, "energy independence" means. DOE officials did not respond to multiple requests for comment seeking clarification. Amid the ambiguity, some have assumed the phrase means the United States should break its addiction to foreign oil and become a net exporter of energy. But the man who coined the term in the 1970s had something else in mind. The first high-profile use of the term was in a 1973 speech to the Council on Foreign Relations by Massachusetts Institute of Technology professor Carroll Wilson, said Peter Shulman, an associate professor at Case Western Reserve University and an energy historian who has researched the term's origins. "Wilson was persuaded in 1973 that the country was heading for a crisis in energy," Shulman said. "He coined this phrase 'energy independence' to capture in a snappy way what the country needed to do. "What Wilson proposed was a way to make the country invulnerable to some kind of disruption from abroad," Shulman said. "He did not mean 100 percent self-sufficiency. He just meant no reliance on outside sources of power that would be so concentrated or large as to be deeply disruptive of American life, economy and national security." After delivering his speech, Wilson sent an unsolicited copy to the White House. It went unacknowledged by President Nixon. Then, in October 1973, OPEC declared an oil embargo in response to the United States' support for Israel during the Yom Kippur War. The price of oil skyrocketed. Suddenly, Nixon was keen on Wilson's idea. "Once the embargo began in October of 1973, all of a sudden Nixon started talking about Project Independence, which was a massive government program to cut through the red tape and invest in R&D," Shulman said. "Nixon was essentially talking about becoming energy independent by the end of the 1970s." When Nixon resigned from office, President Ford picked up where his predecessor left off, introducing signature "energy independence" legislation, Shulman said. "And it continued to be used by most presidential candidates and presidents up until the present," he said. What's the deal with 'energy dominance'? "America must be more than just energy independent. America must be energy dominant. #AmericanEnergy," Perry tweeted on March 28. Starting in late March, Trump administration officials made a noticeable shift from "energy independence" to "energy dominance." Christopher Jones, a professor of history at Arizona State University who has researched the history of energy transitions, said he sees a marked difference between "energy independence" and "energy dominance." "It's part of a very substantial rhetorical shift," Jones said. "The phrase 'energy dominance' suggests a willingness to interrupt free trade to the benefit of America — more so than 'energy independence.'" Talks to renegotiate the North American Free Trade Agreement are expected to commence this summer, at Trump's insistence (Greenwire, May 18). Dozens of senators and House members from both parties are calling on Trump to uphold energy provisions of the landmark free trade deal (Greenwire, June 9). "It's linked to the machismo of Trump, and his broader sense that trade deals are unfair to America," Jones said. "I see it as reflecting Trump on trade more generally, and how different he is from both the traditional Republican and Democratic free trade rhetoric." "Energy security" shows up a whopping 22 times in DOE press releases since the inauguration. The phrase is most commonly used to describe DOE's role in promoting nuclear nonproliferation, managing the country's strategic petroleum stockpiles, and protecting against physical and cyberattacks on the country's energy infrastructure. 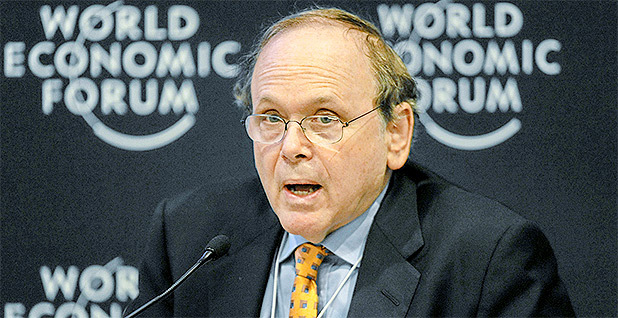 The history of the phrase "energy security" has been closely mapped by Daniel Yergin, the Pulitzer Prize-winning historian and author of the 1991 book "The Quest: Energy, Security and the Remaking of the Modern World." "After the 1973 oil shock, it was clear that the oil companies could not and would not manage future crises by themselves, and that it was up to governments to take on that role," Yergin writes in the book. "In the years since, the industrial countries have developed an energy security system built around the International Energy Agency and the strategic stockpiles." Yergin makes it clear in his writing that he thinks "energy security" is a "much more successful phrase" than "energy independence," Jones said. "When people talk about energy independence, they mean not being beholden to places like Iran and Saudi Arabia," Jones said. "But we actually get a lot of our energy from Canada and Mexico." He added, "So energy security means we're confident that we'll be fine if hostile powers don't want to sell us their energy. The term is usually used as a more sensible alternative to 'energy independence.'" 'Contradictory' talk about efficiency and innovation? "Energy efficiency" pops up 21 times in DOE press releases since January, the second most often of the phrases included in the analysis. That's "contradictory," according to Alexis Abramson, director of the Great Lakes Energy Institute at Case Western. "Energy efficiency is sort of a bipartisan term because nobody can argue against using less energy or using less energy more efficiently," Abramson said. "In that way, you do see it used across the aisle and by various kinds of politicians. "But in the president's skinny budget, he doesn't necessarily emphasize the funding of energy efficiency," she said. "So while it's kind of a neutral term, it's a bit contradictory." Trump's budget blueprint slashes the funding for DOE's Office of Energy Efficiency and Renewable Energy, among other offices and programs (Energywire, March 16). 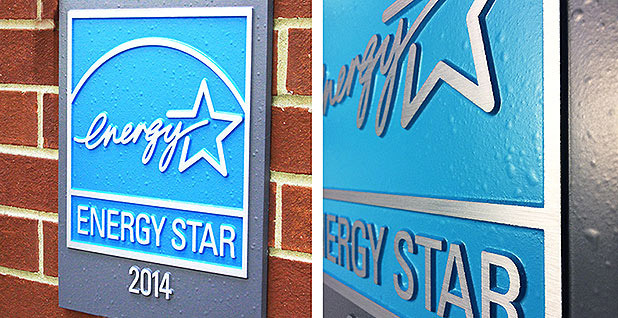 The president also wants to ax Energy Star, the popular energy efficiency program run by DOE and U.S. EPA (Greenwire, March 21). It's also "contradictory" and "illogical" for the Trump administration to tout the goal of "energy innovation," Abramson said. "The Trump administration does spend a lot of time promoting energy innovation and companies and growth," she said. "But they seem hesitant to invest federal dollars in that innovation." For example, she said, Trump's budget plan suggests eliminating the Advanced Research Projects Agency-Energy. 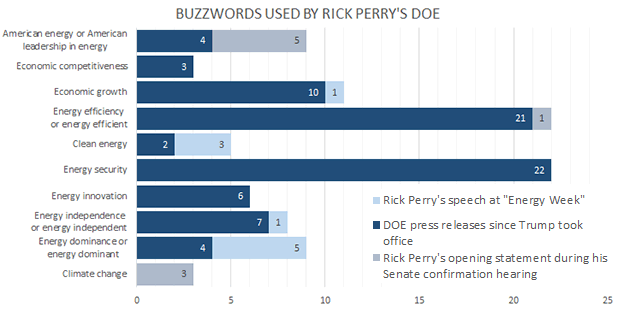 "If I were to point to any division of DOE that has a focus on innovation, it would be ARPA-E."
"When it comes to climate change, I am committed to making decisions based on sound science and that also take into account the economic impact," Perry said in his opening statement during his Senate confirmation hearing. That moment was a rarity. The phrase "climate change" appeared zero times in Perry's remarks in late June, when the White House was putting special emphasis on energy issues. It also appears zero times in DOE press releases since January. To be fair, former Energy Secretary Ernest Moniz, an Obama appointee, only said "climate change" once in his opening statement during his 2013 Senate confirmation hearing. But his subsequent actions spoke louder than his words, as he played a pivotal role in negotiations at the 2015 Paris climate talks (Energywire, Dec. 17, 2015). And he's spoken openly with E&E News about his efforts to push for a low-carbon economy (Energywire, June 21). When Perry mentions climate change, he often draws the ire of environmental groups and protesters, who label him a "climate denier." 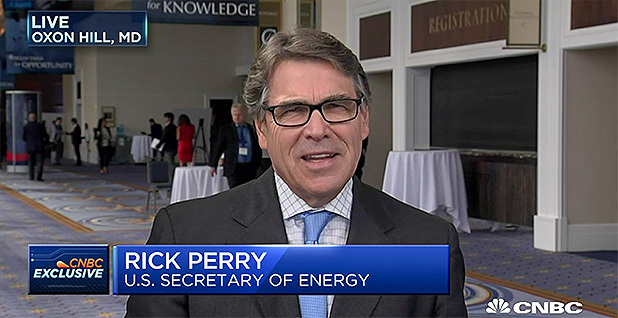 Appearing on CNBC's "Squawk Box" last month, Perry stirred up controversy by saying carbon dioxide is not the primary driver of climate change (Greenwire, June 19). He's also endorsed a "red team, blue team" approach to debating mainstream climate science (Climatewire, June 30). While Perry doesn't talk about climate change often, his remarks on the subject always get picked up by media outlets and have an outsized impact on public discourse, said Cara Horowitz, co-executive director of the Emmett Institute on Climate Change and the Environment at UCLA. "It isn't in dispute that humans have been the dominant cause of warming in recent decades," Horowitz said. "It feeds a culture of denialism and misinformation to suggest otherwise. And I think that's exactly what Secretary Perry's recent statements about climate change have done." She added, "It's his most misleading statements that are high profile and that make the headlines, and that pollute public dialogue and public understanding of what climate science tells us."